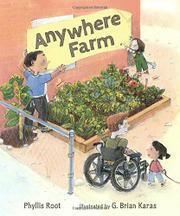 Opening Sentences: For an anywhere farm, here’s all that you need: soil and sunshine, some water, a seed. Although the anywhere farm starts out as a solitary project, it soon blossoms (pun intended). Butterflies or bees, ladybugs, birds – your anywhere farm might have some cool visitors. And an anywhere farm attracts people, too. An anywhere farm can become an anyone farm, with neighbors working together to grow and share vegetables, flowers, and friendship. It may seem odd to share a book about gardening when those of us in the Northern hemisphere are looking toward winter, but an anywhere farm can be an anytime farm, too. A container garden can live by a window indoors just as well as in a plot in the ground. The possibilities for growth are endless! School Library Journal’s Classroom Bookshelf offers more suggestions for activities, including Going on a Garden Hunt, Find the Rhymes, and Readers Theatre. And I see I’m not the first to share this book – but, since Keila shared it in the Northern Hemisphere’s spring, maybe it’s okay for me to share it in the Southern Hemisphere spring! Availability: Readily available. Check your local or online indie bookstore! Such an important story for children who have little to no exposure to gardens and think food comes from the store. Community plots are becoming more popular again. I hope it continues. Lovely share at the end of the summer — pumpkin and apple-picking time! Good to see you back at PPBF! I so agree! A “farm” can be anywhere, can’t it? I grew up on what one would call a farm, but now that I live in a city (and have for many years), I seek out ways to “green” my environment. And it’s wonderful that my city, San Francisco, has other people who feel the same way. We’ve got FUF, Friends of the Urban Forest, helping people green their sidewalks with gardens and trees. We have businesses that apply to the city to make the parking spot in front of their establishment a “parklet.” We have community gardens set aside throughout the city. I can’t tell you how happy “green” makes me. And it’s so good for kids, too. So this book is a great reminder of how they, too, can put a little green happiness in their lives. Thanks for the rec! Love this book -= and anything illustrated by G.Brian Karas!!! I love Phyllis Root. I haven’t read this book yet. But I am going to look for it now. Great activities. By the cover alone you can tell this one is a winner! I missed the earlier review so I am so glad you added yours. I am a big yes for this wonderful message. I love container gardening & indoor gardening. This book seems like a great reminder that “gardening” can happen anywhere – even in urban areas. This is a great time to be sharing spring gardening down here. So this is a welcome find. Gardens are dotted everywhere around our city.